Growing up in New Orleans, Elzena McVicar (MIT ‘10) was surrounded by a family filled with teachers. Years of family conversations about education convinced McVicar that teaching was not for her. While working on her bachelor's degree in anthropology, however, McVicar took a work study job as a tutor. Then, after graduating from college, she found herself working in an elementary school as an AmeriCorps volunteer. These two experiences changed McVicar’s perceptions of education, ultimately leading her in a new professional direction. McVicar set out to find an excellent teacher education program and, after some research, put the University of Washington College of Education at the top of her list. McVicar found herself headed to Seattle despite having never visited. "The College of Education is unique compared to a lot of other programs in the country because professors are not just teaching content but also are teaching best practices for engaging students in learning, such as understanding where students are starting and creating personalized instruction to move them forward," McVicar said. Upon completion of her master’s degree, McVicar went on to teach in elementary schools for the next seven years and discovered her passion for teaching mathematics. In addition to the issues surrounding mathematics, McVicar noticed a lack of connection among teachers, even those in the same school. In response, McVicar joined fellow teachers in leading the first EduDesign Lab Summer Institute, an innovative form of professional development supported by the College of Education’s INSPIRE initiative. Operating under the motto “For Teachers, By Teachers,” EduDesign Lab brings together practicing teachers from the Seattle area in an immersive, week-long professional development experience in which they co-design and build their teaching practice. 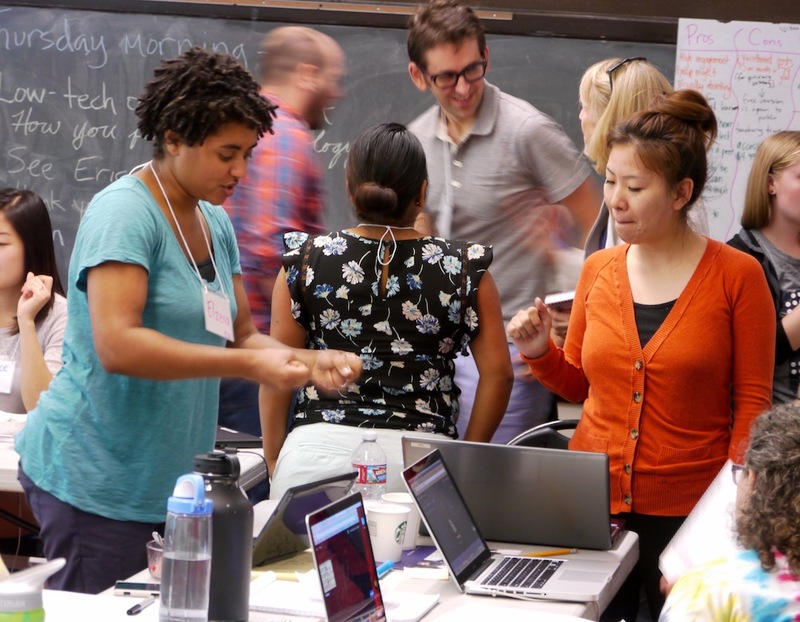 Launched in 2015, EduDesign Labs have focused on building teachers’ proficiency using technology to support instruction, science learning for elementary students, and, this coming summer, exploring social justice issues. “After the lab, a lot of teachers expressed interest in taking up leadership roles in their building, whether they are sharing the knowledge that they learned with other teachers or they are taking on a mentorship role,” McVicar said. "Also, a number of teachers were able to immediately implement what they had learned in our summer labs at the start of the school year." In the fall of 2016, McVicar returned to the UW to pursue her PhD in curriculum and instruction, exploring teacher quality and education with a mathematics focus. In the future, McVicar hopes to continue educating and supporting teachers in ways that will benefit their students. She is interested in providing professional development for both current and future teachers through programs like EduDesign Lab.